Pera’s antlers really are worth writing about. As a calf he grew short simple antlers, which would not have given us any idea of their shape and form three years later. As a two-year-old, Pera’s antlers were slightly strange – very wide and ‘flattened’ but nothing particularly out of the ordinary. However, by 2014 his antlers are completely bizarre. 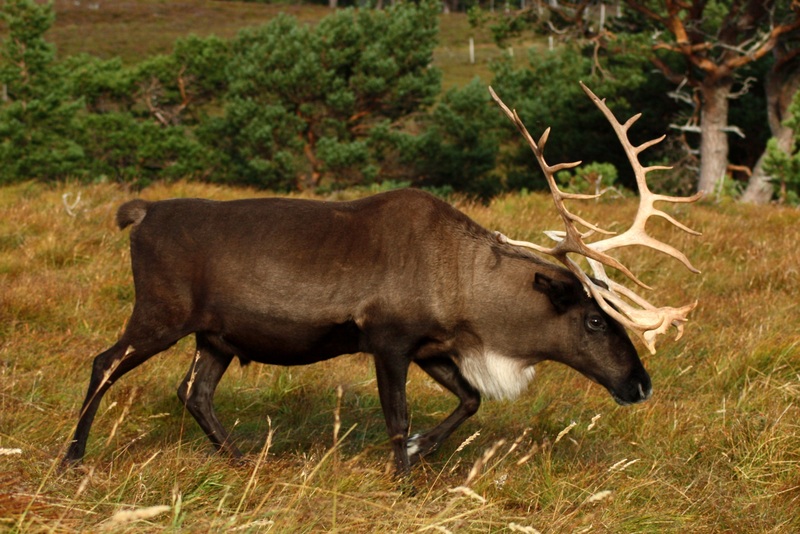 As a general rule reindeer grow antlers of a similar basic pattern, with long brow tines, including the front blade pointing forward low down above the base of the antler. Then as the main beam elongates, the later tines grow pointing backwards. Sometimes the tines can be flattened with extra points coming off them too. Pera’s antlers, however, look like they are completely the wrong way round with the tines higher up literally pointing the wrong way. 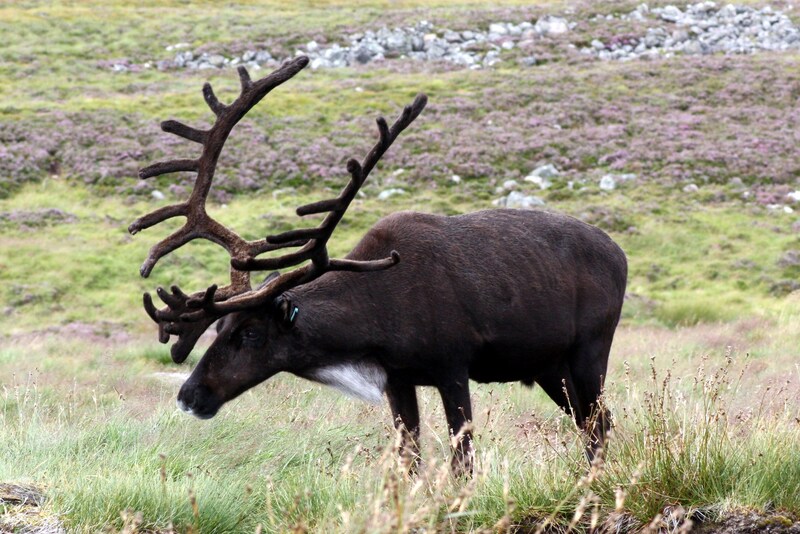 Also his antlers are incredibly wide apart at the top with very long splayed tines at the bottom. Apart from looking extraordinary it’s actually quite difficult to get a halter on him! Antler shape and form is basically inherited – must have been an interesting combination of antlers from his mother and father to come up with Pera’s! However, we will never know exactly what they were because Pera was born in Swedish Lapland and finding out his parentage from a herd of 5,000+ reindeer would obviously be impossible. In 2014 he was one of our breeding bulls and so one of the calves he fathered was Aonach. Now Aonach is 3 1/2 you can certainly see the influence of his father on the shape of his antlers! Stripped antlers, ready to rut!